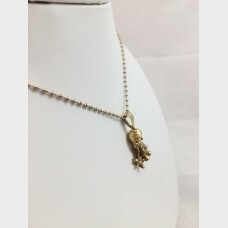 Fall in love with this 18K yellow gold Dolphin, Sea Pearl Diamond accent necklace by Marine Life Art..
18kt 39.9 grams .75 ctwPre-Owned ..
Popular among celebrities, this 18k "evil eye" necklace is meant to ward off the evil eye. 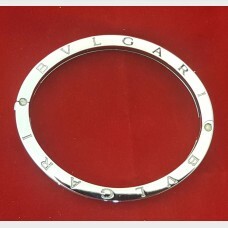 Envious g..
Pre-owned Bulgari 18kt and stainless steel bangle bracelet. 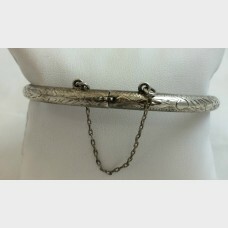 Measures approx 2 3/4 inches in diameter.. 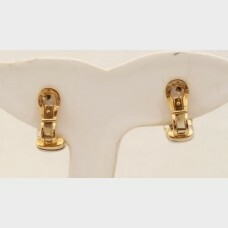 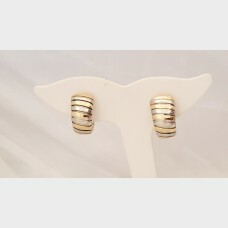 The classic 1990 Bvlgari two tone tubogas earrings set with 18 kt yellow and white gold. 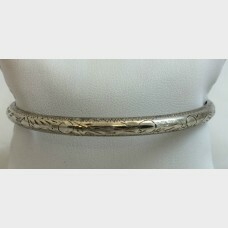 measuring 7..
18kt white gold 31 grams approximately .20ctw Inquire about this beautiful item by calling ou.. 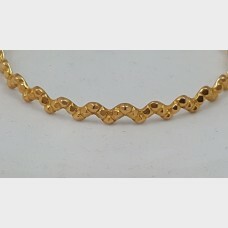 Custom Victorian Design Necklace64.68ctws Pyrope GarnetsFine Quality, 14kt Gold56.10grams &.. 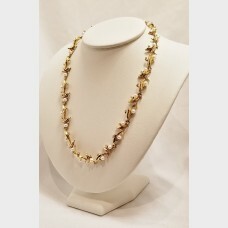 Looking for a special gift for your sweetheart? 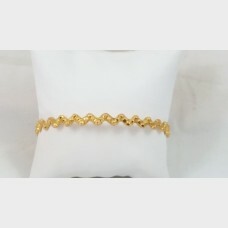 This lovely custom-made 14k white gold bracelet is j..
10K Yellow Gold Vermeil over Sterling Silver. 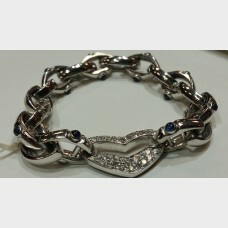 Bracelet features diagonal polished and diamond-cut de.. 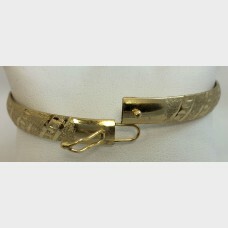 Custom, hand-made 18K Gold Diamond Bangle is diamond cut and weighs 17.3 grams. 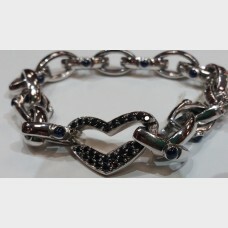 Has a matching partn.. 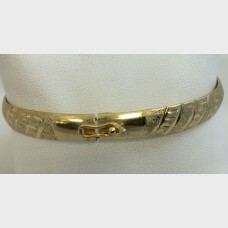 Custom, hand-made 18K Gold Diamond Bangle is diamond cut and weighs 18.8 grams. Has a matching partn..
Silver bangle bracelet with intricate, shining etchings. 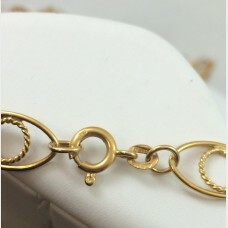 Clasp opening and protective chain, one siz..
14k Pendant and Chain. 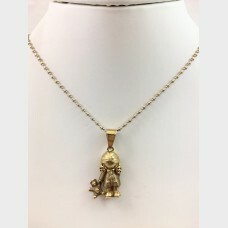 Pendant features a little girl holding a teddy bear. 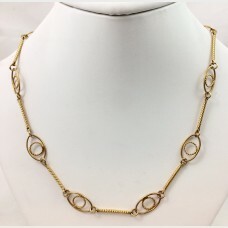 Chain features interlace.. 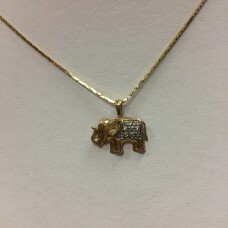 This beautiful necklace features a 14k elephant pendant and a 14k yellow gold chain. 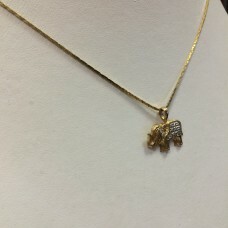 Details: Elepha..